Is there harm from sports nutrition? Many young athletes sooner or later are asking the question, is it worth it to try on my own experience food supplements or not. Indeed, some mixtures contain very useful components that will not only build muscle, but also give the body extra strength for recovery. Still, in some cases taking a special sports nutrition may be contraindicated. The case can be made as in excessive dosage, and the idiosyncrasy of the individual components. Perhaps one of the most simple and at the same time not the most pleasant of problems when taking protein supplements is flatulence. The process of gassing occurs for the simple reason that in the intestine gets unsplit protein in the stomach of the local bacteria begin to decompose, which forms a gas. over time you should not use the dose of the protein, which contains no more than 30 grams of protein daily limiter – 300 gr. – the process of protein digestion is carried out by enzymes secreted by the pancreas. Therefore, its dysfunction can lead to bloating even when consumed in small doses of protein. Total it is possible to understand at least two things: 1 meal should not be eaten more of those 30 grams, and for the normalization of digestion can be applied enzyme preparations type: Abomin or Pancreatin. Such side effects may occur in case you have lactose intolerance – a key component of milk. Therefore, if the package contains information about the content of lactose in the protein, then you need to find a substitute. Exclusively the consumption of protein by-products can lead to constipation. To avoid this, it is necessary to include in the diet dishes containing vegetable fibres. Creatine is a great product, due to which even a novice lifter will be able to significantly improve their performance endurance. 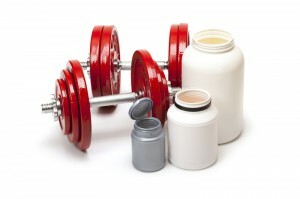 The most common Supplement is creatine monohydrate. However, it should be understood that in violation of several conditions of admission, approximately 10% of the subjects showed signs digestive disorders: diarrhea, constipation, nausea, etc. Creatine, how to take: to prevent the negative effects, you should take no more than 5 grams of creatine per day. Drink Supplement, preferably on empty stomach in the morning. If you have a special sensitivity, a good substitute can be a creatine malate. Perhaps of all most special list of drugs most side effects have just pre-training complexes and fat burners. Primarily this is due to the fact that these products contain large amounts of stimulants, and as a result every body responds differently to a particular dosage. The subjects taking the fat burners and pre-workout complexes in particular was observed: diarrhea, vomiting and nausea, insomnia, headache, General malaise, increased blood pressure, etc. The solution to the problem. In the first place should not exceed the recommended dosage. If the side effects again, you should limit the intake of the drug, or go to the counterparts. Secondly, it should not be combined between two or more products of this direction. You may get the incompatibility of the components and as a consequence of the deterioration of health. When you take vitamins and minerals the main danger signs in hypervitaminoses and its consequences. You should replace that most dangerous the intake of fat – soluble vitamins E,D, A,K. water Soluble vitamins are easily excreted from the body, so to overdose on them very difficult. If you take pre-workout blend that contains some vitamins and special vitamin supplements, then you should overdose occur, because the saturation limit is far above the recommended level. Apply vitamin and mineral supplements should not be longer than one month.